In his first in-person statement to the press since he fired now-former FBI Director James Comey, President Donald Trump did not mince words. 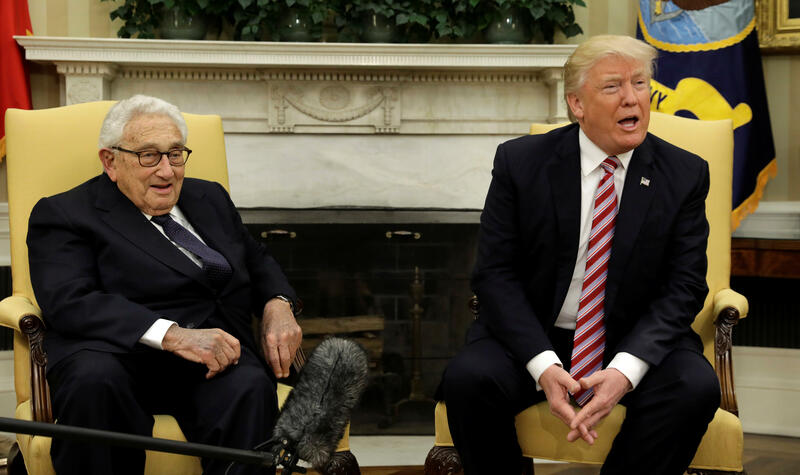 "Very simply he was not doing a good job," Mr. Trump told CBS News' Margaret Brennan Wednesday during a meeting with former Secretary of State Henry Kissinger. Before this, the president had met privately with Foreign Minister Sergey Lavrov. Brennan was the pool reporter. Mr. Trump added that the firing did not affect his meeting with Lavrov -- the highest-ranking Russian official Mr. Trump has met with face-to-face -- in any way. "Very simply he was not doing a good job," @POTUS said of Comey firing. Did it affect meeting with Russians? "Not at all." The surprise firing of Comey caught many in Washington off guard and prompted numerous Democratic lawmakers to call for the appointment of a special prosecutor to investigate Mr. Trump's alleged ties to the Russian government. Mr. Trump said he acted on the recommendation of Attorney General Jeff Sessions and Deputy Attorney General Rod Rosenstein, who faulted Comey for mishandling the investigation into Hillary Clinton's private email server.